I did remember to call my Mom back in Manitoba today before heading out into the sunshine. 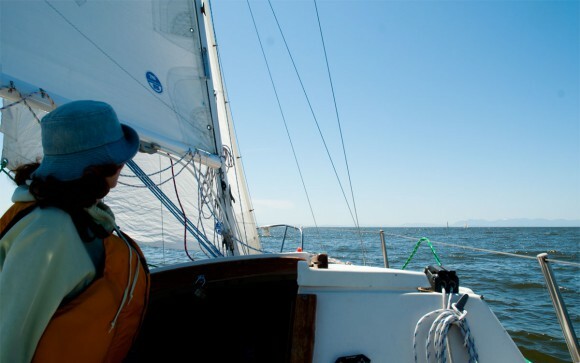 It’s the first really warm weekend of spring here in the Lower Mainland, so I managed to convince EB to join me for a Mothers’ Day sail. We had a pretty lively sail in the Southern Strait – the wind was just perfect for Madsu under 100% jib and full main. We scooted along at 5.5 knots plus going to weather – and I actually had to get my sweater on – the wind off the water was a tiny bit cool. But I had an motive for getting EB out of the house. While were were gone, the boys fired up the Kitchen Aid to create an original masterpiece. 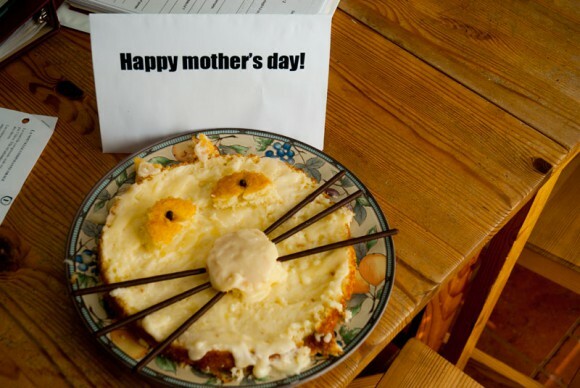 Happy Mothers’ Day to all you cool cats.